He's also performing with fellow singer Saay! South Korean artist Kwon Hyuk, more popularly known by his stage name DEAN, is returning to the Philippines to mark a special milestone in his life. He will be performing in Manila this November 10 for a one-night only concert at the New Frontier Theater (formerly KIA Theater). This time, the Korean R&B artist will be sharing the stage with fellow singer-songwriter, SAAY. Filipino Rebels (his fan club name) will have the chance to celebrate DEAN's 26th birthday happening on that same day. This marks DEAN's second time to visit the country. His first event in the Philippines was his promo tour for his extended play (EP) album DEAN 130 MOOD: TRBL in August 2016. 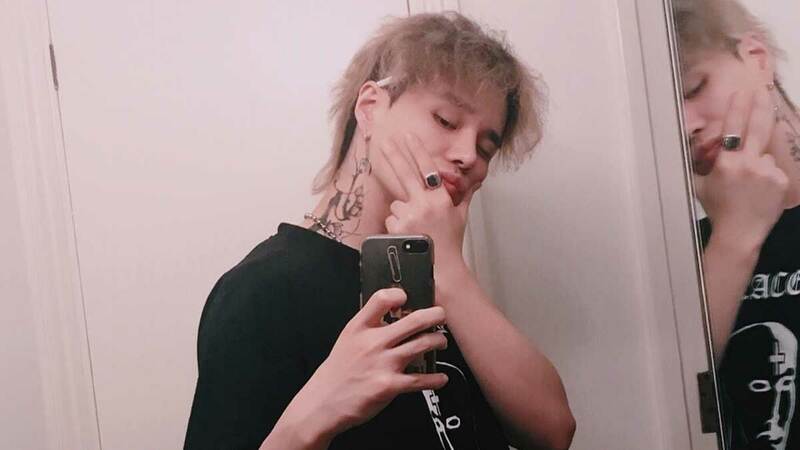 DEAN was once dubbed as the "future of South Korean R&B." He started off as an underground rapper at the age of 16 and later pursued a career as a songwriter under the name Deanfluenza. He wrote songs such as EXO's "Black Pearl" and "Unfair," and VIXX's "Voodoo Doll." DEAN officially made his debut in the music industry in 2015. Unlike most K-pop artists, he decided to debut in America before pursuing a career as a singer/composer in South Korea. His first two singles "I'm Not Sorry" and "Put My Hands On You" were both in English. In December 2017, he released the song titled "Instagram," which topped music charts in South Korea. In a previous interview with PEP, DEAN disclosed some of the things he wants to achieve as an artist. He said in his 2016 interview, "When I show my album or music, I want to have a concert with all of my fans and supporters and singing [on] the same stage." DEAN also told PEP that he wants to be remembered through his music and not just for the awards that he received. "I really want to be remembered as unique, personal musician. Unlike other artists who want to win awards, I think the most important thing is to be remembered as a unique artist." For her part, SAAY started her music career in 2012 as a member of a girl group called Evol. She decided to pursue a solo career, and signed up with Universal Music Korea in 2016. DEANTRBL X SAAY's concert is presented by Talk N Text and MCA Music. Tickets are available via Ticketnet Online and are priced at P11,130 (VVIP Standing, which includes meet and greet and signed souvenirs), P7,950 (VIP Standing A), P5,830 (VIP Standing B), P4,452 (LOGE), and P2,650 (BALCONY).